Once Oscar Wilde’s décor is assembled, it will be like Lillie’s on steroids, and include what they claim will be the longest continuous bar in the city, at 120 feet. They’ve turned a space in a building that once housed the enforcer of the Volstead Act — the Bureau of Prohibition — into a lavish, wildly (pun intended) adorned repository of vintage artifacts from around the world. For New Yorkers looking to embrace a Victorian-style St. Patrick’s Day, they can head Oscar Wilde. The Flatiron restaurant is named after one of literature most prolific writers who happens to be Irish. Throughout the day, the restaurant is serving corned beef and cabbage and Irish Soda Bread. Just stop by and sit at the city’s longest bar and try The Warhorse. The specialty libation is made with Irish whiskey, lime juice, honey syrup, ginger ale, muddled mint, and peppercorns. Celebrate this year St. Patrick’s day with a Warhorse Cocktail recipe brought to you by the masterminds and founders of Oscar Wilde NYC. At the soon-to-open Oscar Wilde bar in Manhattan’s NoMad neighborhood, patrons will likely take note of many special details, from the vintage player piano to the gold-colored beer taps. Oscar Wilde once wrote: “Over our heads will float the Blue Bird singing of beautiful and impossible things, of things that are lovely and that never happen, of things that are not and that should be.” Beautiful and impossible things can happen in life, and one such thing is a new bar in New York City, named after the great writer, by two fellow Irishmen, Tommy Burke and Frank McCole. 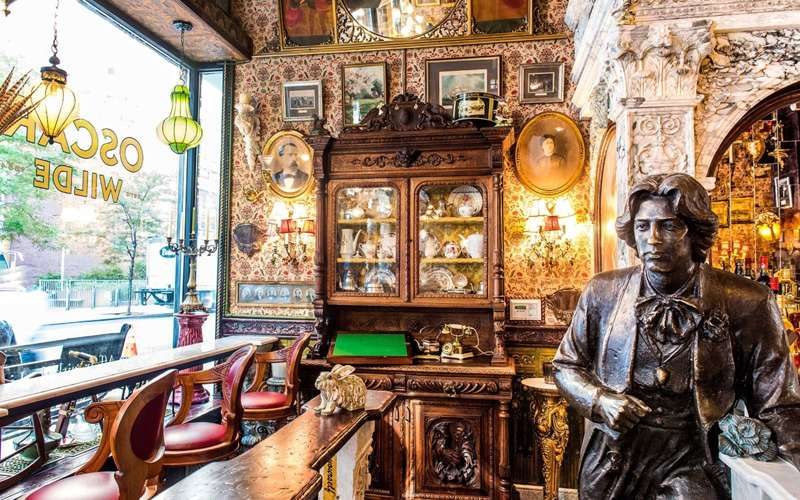 ...And now, thanks to a newly-opened bar in NoMad, fans of Oscar Wilde have their very own spot to pay tribute to the Irish novelist, essayist, and playwright—complete with one of the longest bars in New York and, not one, but two statues of the author. Inspired by the aesthete, it explodes with extravagance: marble bearing his quotations, porcelain floor inlays, and an antique piano made into shelves. Opulent light fixtures, custom marble, antique fireplaces, scores of paintings and photographs, and two statues of Oscar Wilde are what await at a new bar in NoMad named for and dedicated to the Irish writer. Oscar Wilde once famously said, "Work is the curse of the drinking classes." Well, if you're in New York this month, you can drink like Wilde after your curse-of-the-drinking-classes day is done for the day. The Irish owners and operators behind Lille’s Times Square, Lillie’s Union Square, and Papillon Bistro & Bar are adding the Victorian-themed gastropub at 45 West 27th Street to their portfolio. Perhaps the part that maverick Wilde would most enjoy, however, is the fact that a bar named after him has opened in a building that formerly housed Prohibition Enforcement headquarters. Touted as the city’s longest bar at 118.5 feet and named for the Irish playwright, Oscar Wilde is opening on August 16 in Nomad (45 West 27th Street). 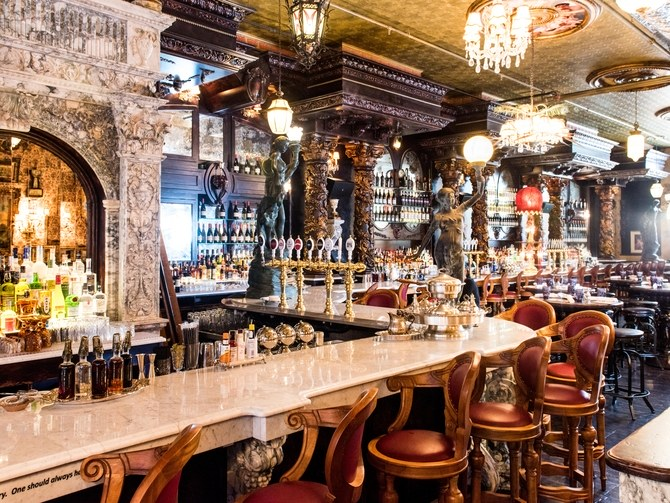 Owners Tommy Burke and Frank McCole of Lillie's Victorian in Times Square and Union Square have put together an elaborate 5,000 square-foot venue, with a fireplace from the 1840s, inlay from Ireland’s Hope Castle circa 1700s, and porcelain from Gosford Castle (also a location for Game of Thrones). Look for 300 whiskeys and 32 beers on tap. The first week is evenings only with lunch rolling out the end of the month. Step inside a new literary haunt in New York and you’ll find 26 clocks that never change time. They are all set at 1.50pm, the time of death of the writer after whom the bar is named, Oscar Wilde. 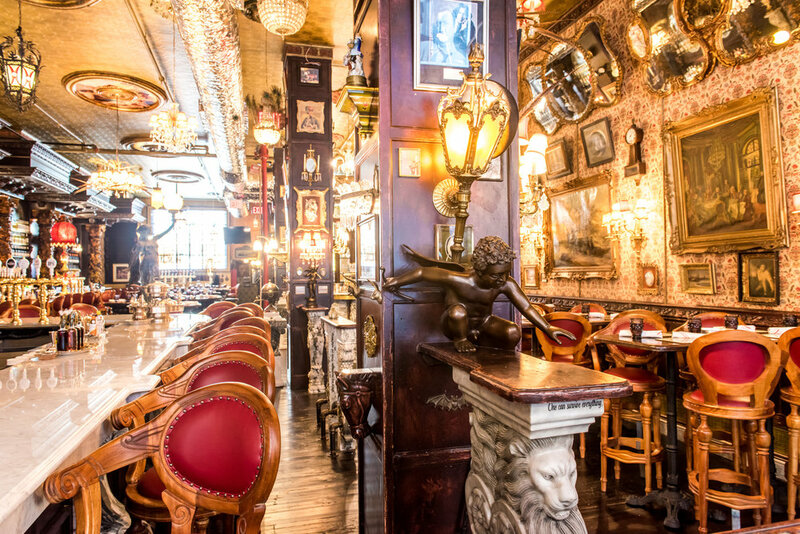 The interior of the bar is as opulent as you might expect for a place dedicated to the flamboyant essayist, novelist and playwright whose preferred alcohols were Champagne and absinthe. And it’s as decadent as you might expect when you find out $4 million was spent on the creating the space. Now let's take a note from Mr. Wilde and more-than-exist at the longest bar in New York dedicated to his namesake. An interview with Johnny Swet, Head Mixologist at Oscar Wilde. The owners behind Victorian-style restaurant Lillie’s are launching another 19th-century concept, with a new spot—featuring the city’s longest continuous bar, at 118.5 feet—called Oscar Wilde NYC. 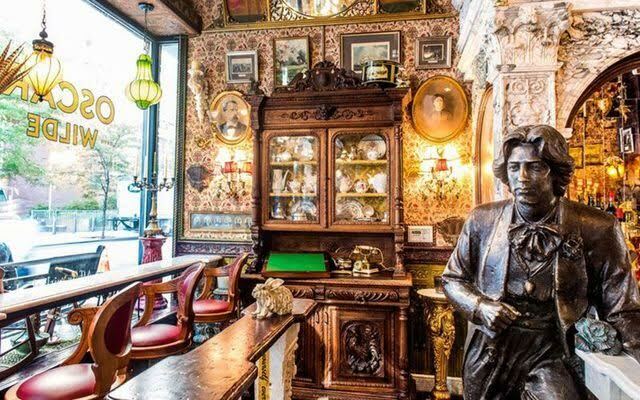 Of course Oscar Wilde, a writer known for his sharp wit and even sharper style, is worthy of a watering hole bursting with this much grandeur. This new spot from the owners of Lillie’s will lay claim to the city’s longest bar (118½ feet) and sports baroque details like gilded fireplaces. Dedicated to the literary dandy Oscar Wilde, this new Victorian-themed bar in NoMad is jam-packed with hand-selected antique artifacts in a gilded, glittering setting. The mere decor cost the company more than $4 million dollars, so you know this place will impress. Celebrating the legendary Irish playwright, Oscar Wilde has New York City’s longest bar at 118.5 feet. Rich, authentic nineteenth century time-pieces, spectacular statues and splendid stylings in the way of wonderfully carved wood fixtures, marble bars and ornate mirrors are just some of the delightful décor accenting the soon to open bar in New York City. Most bars have a theme of some sort. It can be an Irish pub, a Wild West bar, a “roadhouse,” etc. 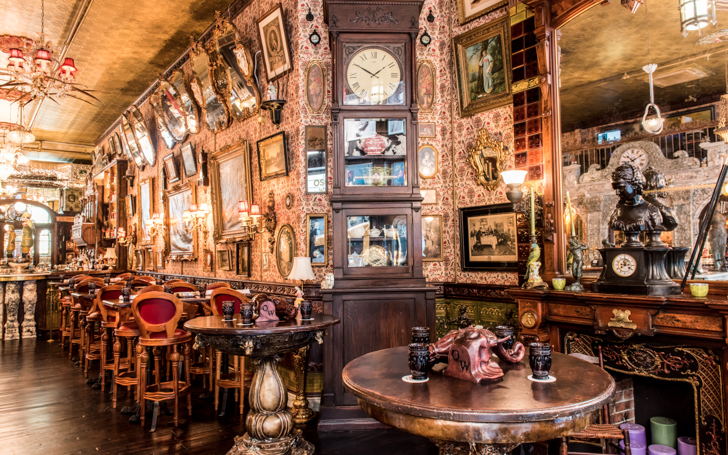 But you don’t see to many Victorian-inspired bars, and you certainly don’t see any that take a Victorian theme to quite the extreme that Oscar Wilde, a new bar that recently opened in New York City, does. 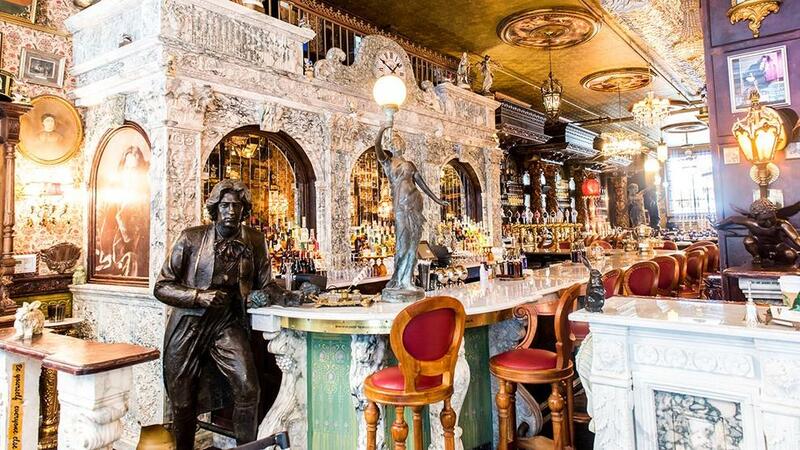 This recently opened Oscar Wilde bar in New York City is dedicated to the famous author, and has been lavishly decorated to celebrate the excess of the Victorian era. 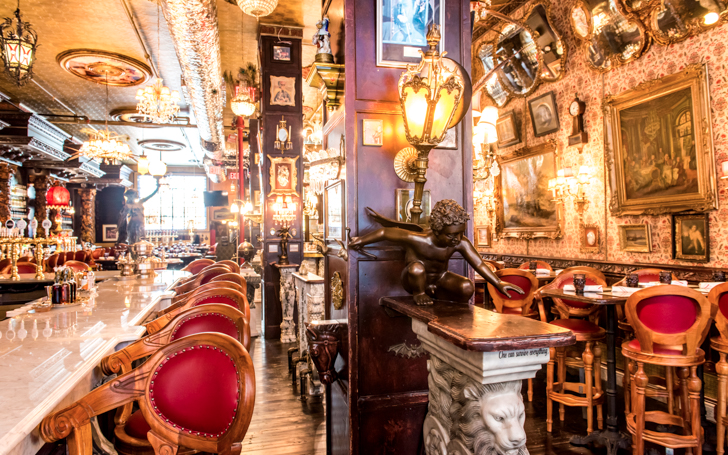 Oscar Wilde in New York is another must-see hotspot. 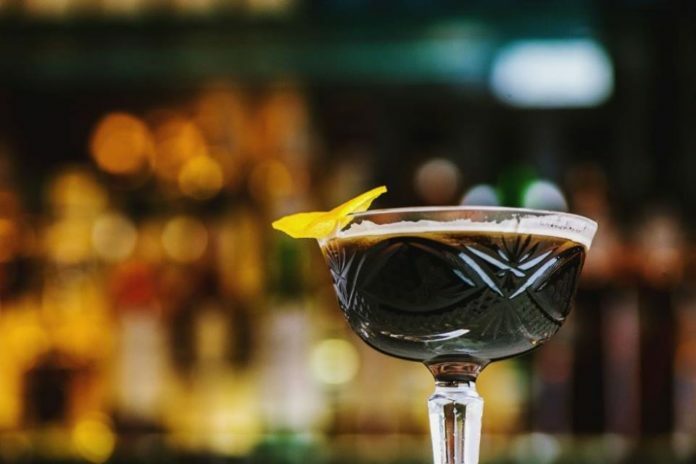 From London, the glamorous bar landed in the city that never sleeps in August 2017. 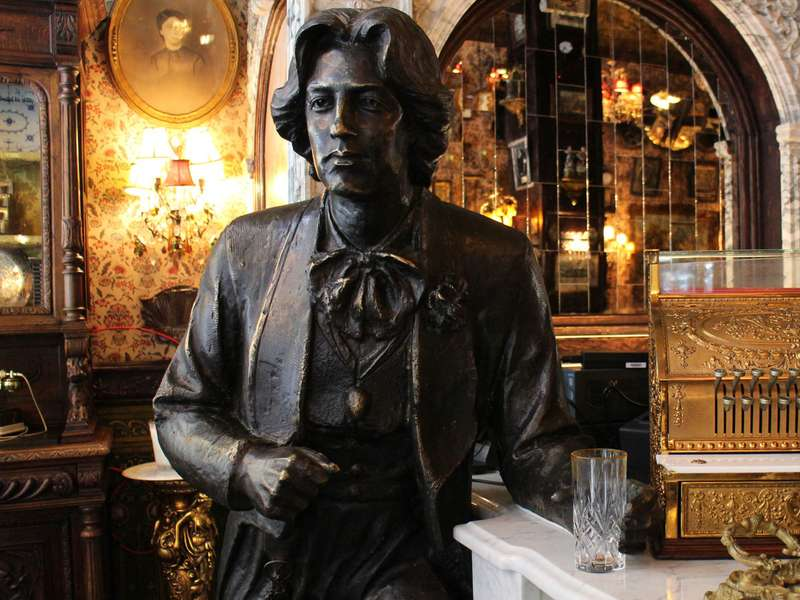 As the first guest, Oscar Wilde is even at the bar, finely dressed, with a questioning facial expression. He almost wants you to give him a drink because the life-size replica of the Irish writer keep his hand open. Child of Dublin, superstar playwright in London, mega-celebrity in New York: Oscar Wilde is legendary. 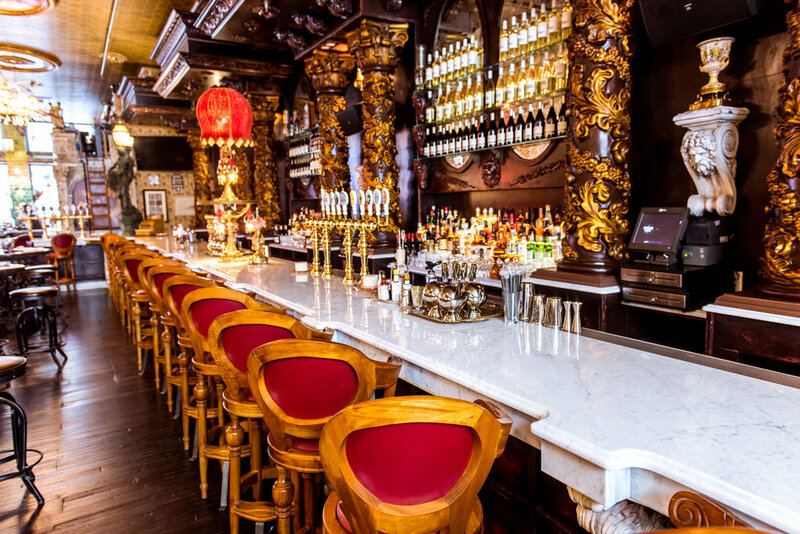 Opened in August 2017, Oscar Wilde bar in Manhattan lives and breathes the spirit of the Irish playwright and writer, decked out from front to back with antiques and tributes to the style of the Victorian era. Much as we love Camus and Baudelaire, one imagines if there were bars named for them, they might not be all that much fun. But NYC's glorious new Oscar Wilde bar is precisely as brilliant as you'd expect a bar named for the legendary Irish wit to be. 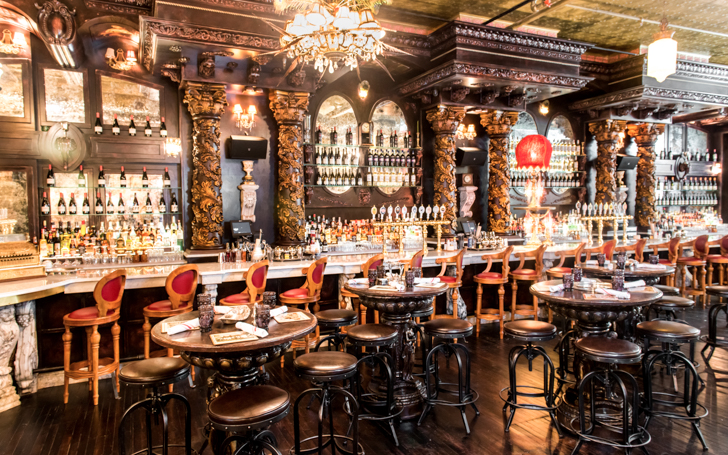 Named for the venerable Irish playwright and located in the former headquarters of New York City's Bureau of Prohibition, the Victorian-themed bar Oscar Wilde opened in August in Manhattan's NoMad district. Don't let the elaborate, dazzling bar and its surroundings make you forget to order a drink. 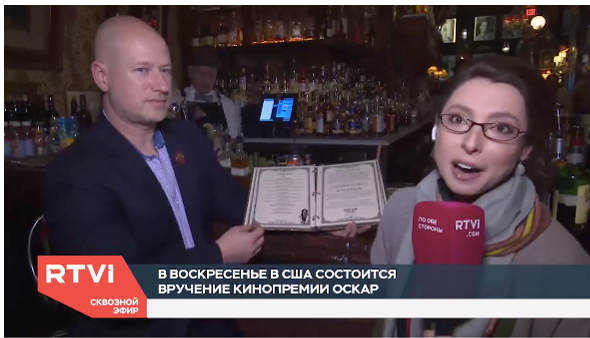 The Irish owners of Lillie's Victorian Establishment, a pair of Manhattan bars devoted to actress Lillie Langtry, have opened a cheerfully opulent bar honoring her friend Oscar Wilde.